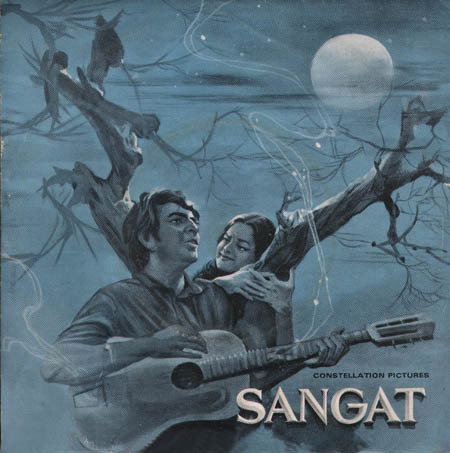 "Kaanhaa bole naa" is possibly one of the most beautiful compositions of Salil. Pity the film was never released and this beautiful song never became more popular. "balmaa moraa aanchraa", an equally brilliant composition was also neglected. Fortunately an EP was released and even now it may be possible to get a second hand copy in the second hand shops of Kolkata or Mumbai. A much longer version of this song was later released by Salil through his own company, CMR. That cassette had some more rare and as yet unreleased songs. Song#SG4, an unusual and rare Manna Dey song, is in two parts and resembles the famous 'Paalki chaley' in Bengali sung by Hemanta. I wouldn't say that it's a version of 'Paalki Chaley', but the song with wonderful guitar and bass accompaniment has the same spirit, same feeling, same rhythm and it just reminds you of "Paalki Chaley". Great !